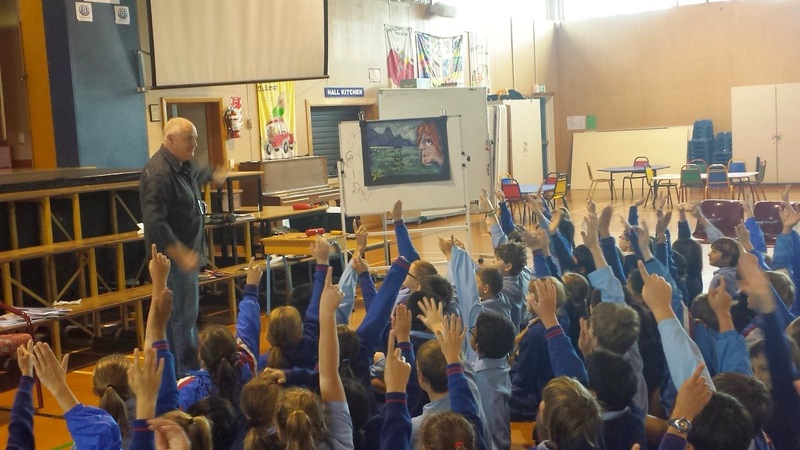 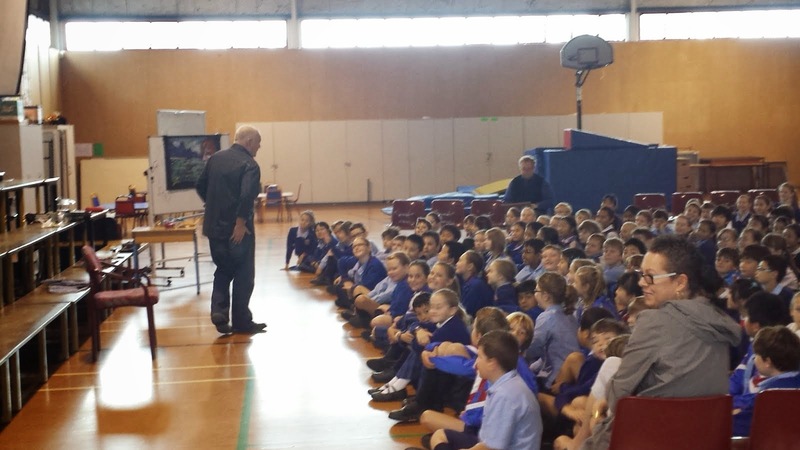 Squeals of laughter and gasps of fright were heard today as Stu Duval Storyteller, Author and Illustrator enthralled both middle and senior school children. As part of literacy week he shared his story ideas and writing tips with children. 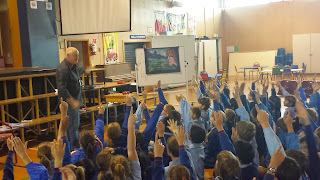 The intent concentration and enthralled faces were evidence of how much children enjoyed this visit.